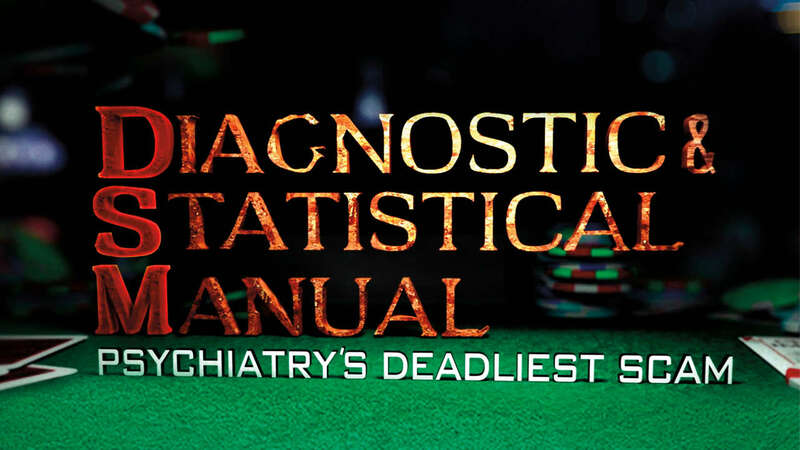 Revealing look at the origins of psychiatry’s Diagnostic & Statistical Manual, known as the DSM, and the crucial role it plays at the center of the profit-driven motives of the psychiatric, pharmaceutical and insurance industries. From its inception and for much of its existence, psychiatry carried the stigma of a pseudo-science. The DSM was a public relations effort to counter this perception. Professionals across the mental health spectrum discuss its fraudulent nature and assail its credibility. An unflinching investigation into psychiatry's dark history from its origins up to the present day. An unflinching investigation into psychiatry’s dark history from its origins up to the present day. Psychiatry, from its deadly experiments on humans to the systemic horrors that influenced the Nazis. Psychiatry and Big Pharma market drugs for illnesses made up in marketing meetings. An in-depth look into the “unholy alliance” between psychiatry and pharmaceutical companies. Disturbing examination of how the psychiatric industry successfully infiltrated the US military.